Great gifts of beauty year round are often a tough and rare find, but if you know what you are looking for, and how luxurious a product is, it makes it that much easier. I am obsessive about the beauty items and I can shop for hours just taking in all the different items out there. Often I use the birthdays, and special occassions as my excuse to shop for these prodcuts. I love pre-any holiday as all the great stuff is ushered in so you really get great choices: Mother’s Day, Valentine’s Day, Prom, etc. These holidays become my biggest purchasing time of the year, because there is so much stock out on display that I can’t help but notice the items. Being a girl during this season has never been better. Lavishly live beauty out loud taking a peek into some pretty slick products that will have you a little more moisturized, metallic, a bit more highlighted and getting heated lashes. Luxury looks great in beauty! Glitz, Glam, Sparkle, you may call it what you want, but it’s time to shine because that is the season we are in. How do you get a bit more metallic? 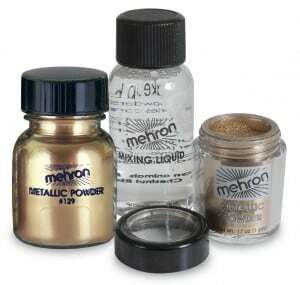 Add a little bit of an ultra fine Metallic Powder to your makeup designs. This great product is from Mehron and it is Metallic Powered. It is finely crafted and most evenly blended which will give you the best accenting power and coverage you have ever found. The Metallic Powered is available in a few colors, but I tested out Copper. This is very fine, silky and smooth and I mixed it in with my basic eye-shadow to get a nice blend of color. IF you are going out and you want to sparkle, but you know you will be ‘sweating’ from dancing and running all over town, you will love the addition of the mixing liquid on this kit. The Mixing Liquid holds the color for extended periods of time and it comes off easily with soap and water. What this will do for you is give you the color you want, without worrying about it fading off. The color is brilliant and the application process is easy. In case you are wondering, many performers such as the Black Eyed Peas, Hilary Duff, and Pink are huge brand fans of this product because it goes on easy, stays on and washes off with soap and water. It does not cake, or clump and you will love the ease of use. I personally love the colors and the bit of brilliance it adds dry to my eyeshadows, so just using it to enhance color pulls out pigmentation in my eyes! RAMY, Pure Juice Highlighter: The Pure Juice Highlighter is a colorless, water-proof cream highlighter that can be applied to add light to any feature on your face, legs, shoulders, collarbones, etc. 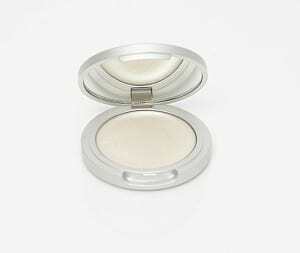 This is a pure colorless, highlighter for your eyes, cheeks, lips and body. Apply on its own or over makeup using your finger tip or a brush and look lit from within! The product itself is Non-Comedogenic, Non-Acnegenic, and Hypo-Allergenic and it is never tested on animals! Why would you use this? In my world, anything that sags, has to be bagged, lol! Eye areas need to be highlighted in order to appear more youthful. Apply to the browbone and have a more defined looking eye. It is colorless so it will just make the eye look more youthful because its colorless reflector allows a lit-from-within effect. Show off those cheekbones, makes those lips look different, and in reality, you are not using color. This is a smooth, silky formula that goes on very easy. Use it for the holidays to look a bit more rested and change the under-eye area to a bit more lively! 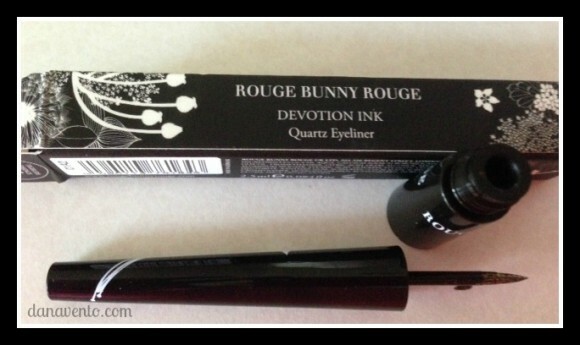 The Rouge Bunny Rouge can be used as an Eyeliner alone or you can place it over your favorite eye pencil color or eye shadows. If you ever wanted your eyes to POP, then you can achieve that with this particular quartz eyeliner. This is Devotion Ink and it is a water-based formula. The Applicator is very thin, like a spear-tip and it allows you to paint very defined lines. You can do well-defined thin lines or really thick lines, your choice. The eyeliner offers high coverage, and it dries very quickly while wearing long. The line boasts five shades that shimmer: Amethyst Essence, Anthracite Essence, Opalenscence Essence, Tanzanite Essence, Tiger Eye Essence. The effect of this over eyeliner is shimmery definition, a glittery effect or some refer to it as a holographic glow. Think Parties, Prom, Outings with friends and anywhere you want a bit of well-defined glimmer and glitz. Lavishly embellish this holiday with color, shine and a bit of heat. Need a stocking stuffer for a beauty junkie or even a beauty minimalist? These items are waiting for you to find them. Good products that offer new looks without doing much are what you will find here! Lavishly live beauty out loud with Panasonic, Mehro, Rouge Bunny Rouge and RAMY. Shine on and get heated.